"My eyes are open now and what do I see? My new rose tinted lenses which brings everything closer, brighter and into sharper focus." "I have a vision and I have pledged to do four Kiltwalks commemorating the 150th anniversary of RNIB in Glasgow, Aberdeen, Dundee and Edinburgh. I view this as my pilgrimage, to explore Scotland, with a fresh pair of eyes. Through living, breathing and preparing for the Kiltwalks, I have been presented with an opportunity to be healthier and happier. It’s a milestone in my life, and I want to give something back. Who knows what the future holds but I’m trying to find my true path in life; walking." 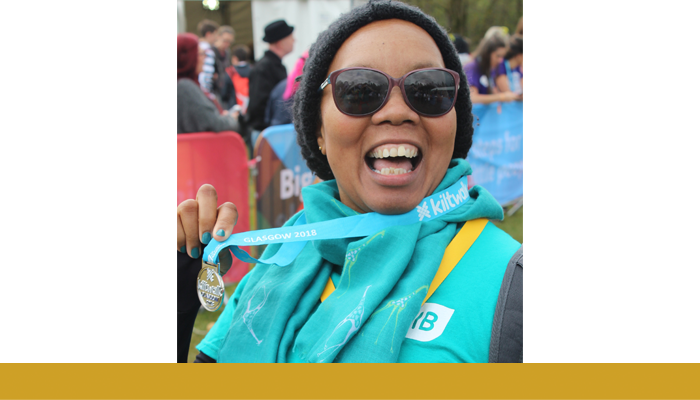 Find an event near you and help raise vital funds for RNIB.